Hearthstone is a very popular game with millions of active players. The title is a turn-based card game between two opponents using decks of cards that feature a selected hero with a unique power. Players use spells or summon minions to reduce the opponent’s health to zero. 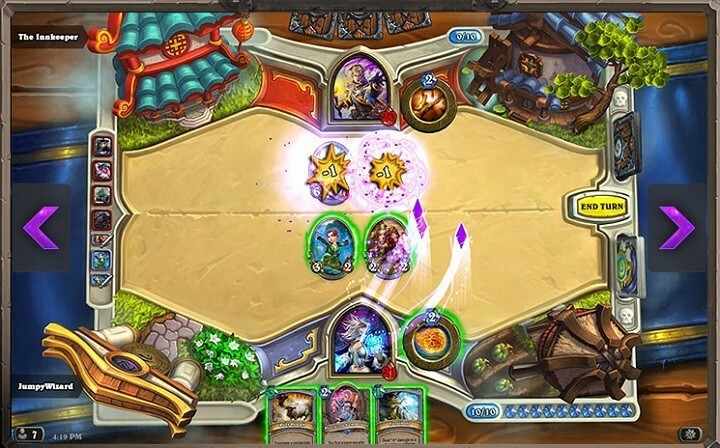 Hearthstone is a stable and reliable game, but there are still some issues that sometimes limit the gaming experience. One of the most annoying bugs affecting the game prevents daily quests from appearing, an issue that has affected players for a long time yet with no permanent solution in sight. Blizzard officially acknowledged the Hearthstone quest bug back in August and pushed out a hot fix that same month. Unfortunately, the update didn’t solve this problem completely: Many players continue to report they’re still not getting any daily quests. Hi there, i wanna make a report of the daily quest. I never had a problem with daily quest but right now i dont get any daily quest after Mean Streets expansion. I tried to log out and in and i even reinstalled the game 2 times to see if it would work but nothing happend. im now 4 days in and still no new quest. Is this a bug or something else. If your Hearthstone daily quests aren’t showing up, try changing to a different game region and then coming back to the one where you usually play on. Then, launch the game to see if this solution fixes the issue and refreshes the daily quests. If you’ve come across other workarounds to fix this problem, list the troubleshooting steps in the comment section below.